Glassbox and its customers are not interested in ‘spying’ on consumers. Our goals are to improve online customer experiences and to protect consumers from a compliance perspective. Since its inception, Glassbox has helped organizations improve millions of customer experiences by providing tools that record and analyze user activity on websites and apps. This information helps companies better understand how consumers are using their services, and where and why they are struggling. This statement is a direct aim at Air Canada and other hotel, airline and retail apps that secretly record the iPhone’s screen when the app is being used. Many notable hotel, airline and retail iOS apps record users’ iPhone screens without first seeking consent, according to a recent TechCrunch investigation that cites security expert The App Analyst. The process in question usually involves a third-party analytics gathering company that embeds its technology in the app’s code. TechCrunch’s comprehensive investigation mentions a specific analytics firm called Glassbox as being used by most travel apps for this purpose. Glassbox’s technology records every action the user takes while navigating through an app, including any screenshots that are snapped. 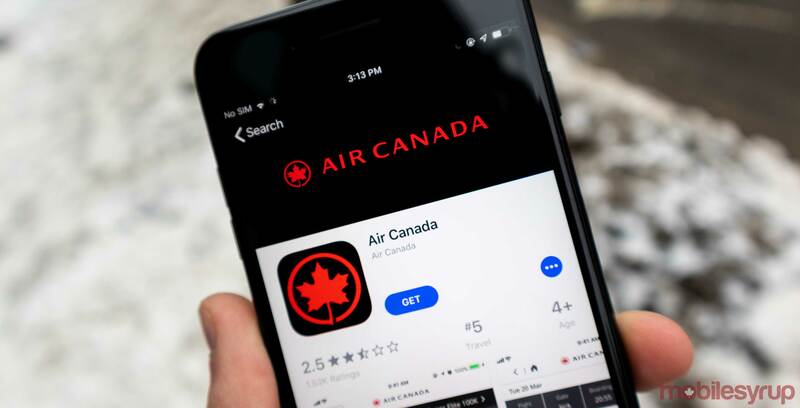 The report specifically mentions that Air Canada’s app, as well as other travel apps, record sensitive data, such as passport numbers, credit card information and other personal data. In the case of Air Canada’s app, the airline also isn’t masking Glassbox’s files when they’re sent from the user’s mobile device to the analytics firm’s servers, according to TechCrunch’s report. This means that the transfer process is potentially susceptible to a man-in-the-middle style security threat. In August of 2018, Air Canada reported that its mobile app suffered a data breach, resulting in the profile information of 20,000 users, including passport numbers and other sensitive data, being leaked. It’s unclear if the use of Glassbox’s analytics tracking tool is the cause of this security breach but there is a possibility it could have been. Some of the other apps mentioned in the publication’s report include Abercrombie & Fitch, Expedia, Hotels.com, Singapore Airlines and more. Source: TechCrunch, The App Analyst.